Third grade is usually when most children learn what the planets look like and where they are in the solar system. If your child knows what each planet looks like, she'll have no trouble with this intergalactic crossword puzzle. 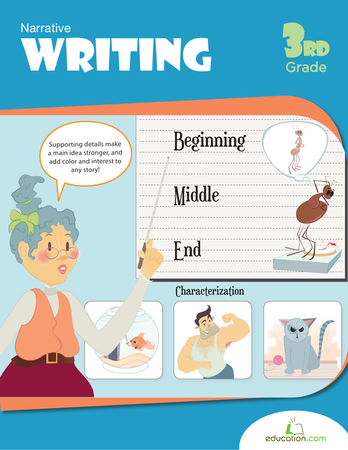 Challenge your child's vocabulary and spelling with a fun crossword puzzle full of 3rd grade terms. Try a crossword puzzle where all the answers are opposites of their clues! Never heard of the planet Pirjute? That's because it's Jupiter, with mixed-up letters! 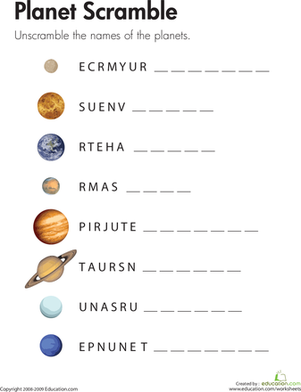 Kids unscramble planet names on this third grade science worksheet. Let your child research his planet of choice, and discover everything from the number of moons to temperature. Invite your child to dream big and design their very own planet. Encourage both creativity and scientific speculation with this fun worksheet. This government crossword will help your young citizen understand the roles and responsibilities of local and state governments. Try our government crossword. Help her discover interesting facts with this animal crossword.